Having a two display setup is pretty common these days. Professional and general users alike tend to require more screen real-estate than what is already built-in or currently in use. But having a secondary display is one thing, carrying it around and using it on-the-go is another. In other words, having both a portable yet a high-quality display available to be used anywhere and on the go sounds like something that’s too good to be true. One thing we do carry around often is a tablet in addition to our laptops. In my case, I had a 2015 MacBook Pro 13” Retina which is great for work but could be better with more screen real-estate. I also had an iPad lying around without getting much use while I’m working on my laptop. Each time I stare at the iPad lying around doing nothing, I see the potential of the screen available that could be put to good use. While there were apps that used networks to connect an iOS device to an OS X system, they weren’t the best solution and while they remained wireless, it wasn’t without its problems. Frequent lags, delays, lower frequencies, app freezes were just some of the issues plaguing these otherwise utilitarian apps. So when a new app called Duet came out, I was pretty skeptical about its capabilities and among other things, it’s lag-free display experience with upto a 60Hz refresh rate claim. Duet, unlike many others on the market, uses a 30-pin or lightning connection from the iOS device to the computer. Having a USB connection assures in a better overall quality for the screen. 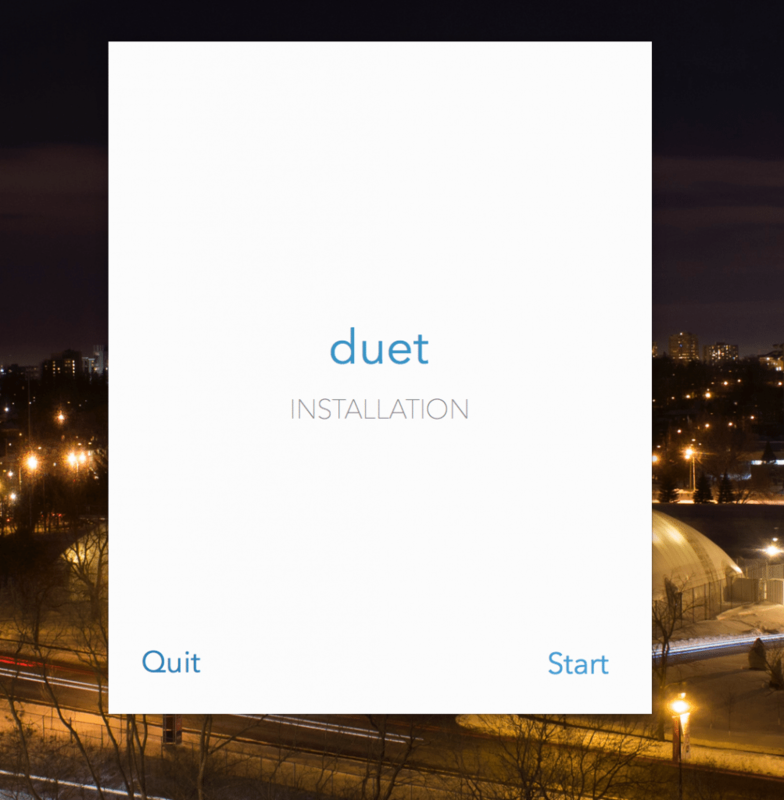 Duet is an app created by ex-apple engineers and installation is very straightforward and intuitive. The app itself costs about $15.99 on the App store and has a free accompanying Mac or Windows application downloadable from their website. Duet is compatible with OS X 10.9+ or Windows 7+ and iPads and iPhones running iOS 7 and higher. Once installed, all you need to do is connect the included or any other sync cable between your compatible iOS device and your OS X or Windows system, give it a few seconds and everything gets set perfectly with your iOS device now acting as a secondary display to your setup. Everything from the resolution, orientation and refresh rate is customizable depending on your needs. The app works surprisingly well. In my experience with the application, connection was always reliable with a high refresh rate, smooth animations with no lag. You can adjust the orientation along with the placement of the screen by accessing the ‘Display’ menu from ‘System Preferences’ on the Mac. The app automatically adjusts resolution and adapts to the orientation of the device. I’ve used the application in tandem with my MacBook Pro and it was always a seamless experience. Furthermore, Duet adds touch capabilities to the system. While you can’t perform gestures you still can use the iPad as an input device like a mouse pointer using touch. It is also pretty energy efficient and under its efficient mode, it didn’t affect battery life of my MacBook in any noticeable or adverse way. Moving applications from one screen to another was perfect. Apps like Mail could now be viewed on a portrait orientation making it even easier and convenient for reading. 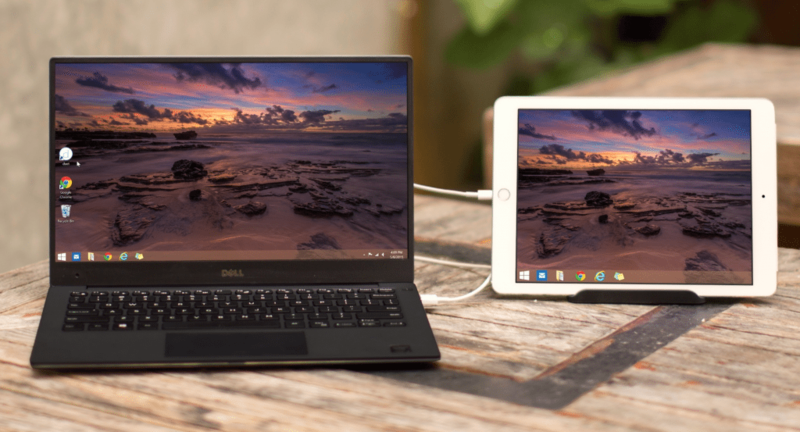 It also must be noted that you can use Duet alongside external displays connected via HDMI and thunderbolt to further boost your screen real-estate and you’ll still have a smooth and functional display setup. Putting Duet in Retina mode at 60Hz does push the CPU to work a little harder and can reduce battery life but energy efficient mode worked perfectly in my experience. The only glitch I came across is when moving fullscreen apps from one screen to another on OS X (Exposé on Mac). While it did work perfectly and smoothly sometimes you can see a trace of the app in the background. But again that doesn’t affect the performance or the responsiveness of the OS or the application. But again, an update for bug fixes can definitely fix a simple issue like this. Duet also currently does not support more than one device being connected via USB but they are working on it on a future release. The app itself is very user-friendly and does what it says well. I would definitely say that while the price might seem a little high for an app, this is something that can put an existing device as a fully-functional portable external monitor and it does it reliably and efficiently so it is justified. And remember, once you unplug the 30-pin or lightning cable, it still is an iPad and can be used independently unlike an portable external display! An amazing application that is incredibly smooth and worth its price tag with an active team to support the app. Should you get the new Apple Smart Battery case for your iPhone 6/6s?